Are you looking for a modern kitchen and or bathroom with a durable scratch and chip resistant countertop? Consider buying granite for your home. It will bring elegance and sophistication to any room in your house. 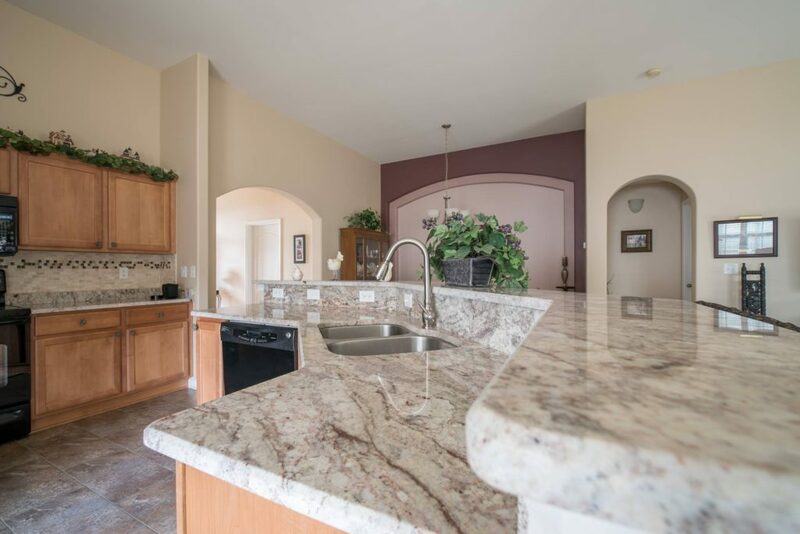 Granite countertops are easy to clean, have a high resale value, and are available in many unique colors that are sure to dazzle the eyes on a daily basis. If you are looking for a good investment in your kitchen and bathroom remodel, granite should be at the top of your list. 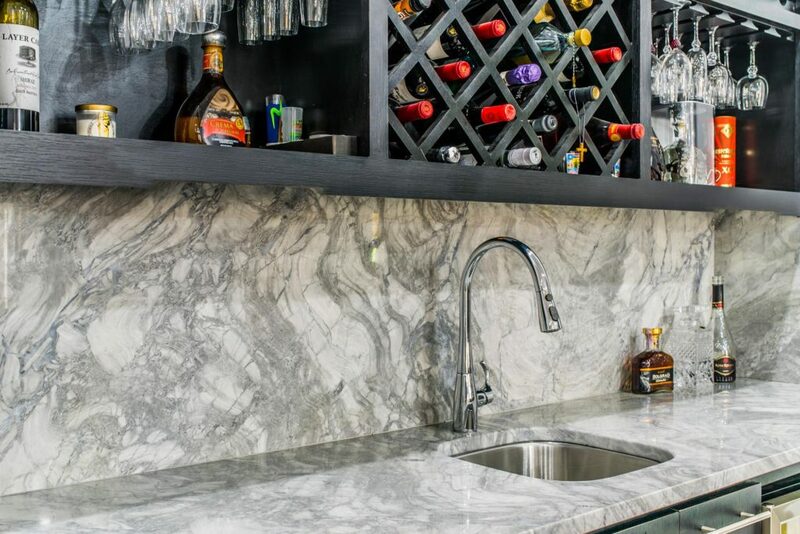 If you’re looking to add class to your kitchen or bath, consider marble. As a building material, marble has been used everywhere from the Taj Mahal to the Empire State Building. Marble is very practical, it is heat resistant, won’t stain, hygienic and easy to clean. For these reasons, marble works great for bathrooms and kitchens. There are many different marble colors. White or gray marble can act as a great backdrop for almost any decor but the blues, greens, dark blacks and uniquely hued pinks and yellows can provide a stunning centerpiece to any kitchen or bathroom. Quartz is for homeowners that are seeking the look of natural stone in their kitchen or bathroom minus the maintenance. Unlike marble and granite, most quartz is no longer mined in a quarry but is instead engineered and manufactured in a factory. Quartz countertops are hard and scratch resistant. There is not a substance that can stain it and Quartz is hypoallergenic. With dozens of fantastic colors to choose from – pastel blues to iridescent reds – quartz countertops can be used in any decor. 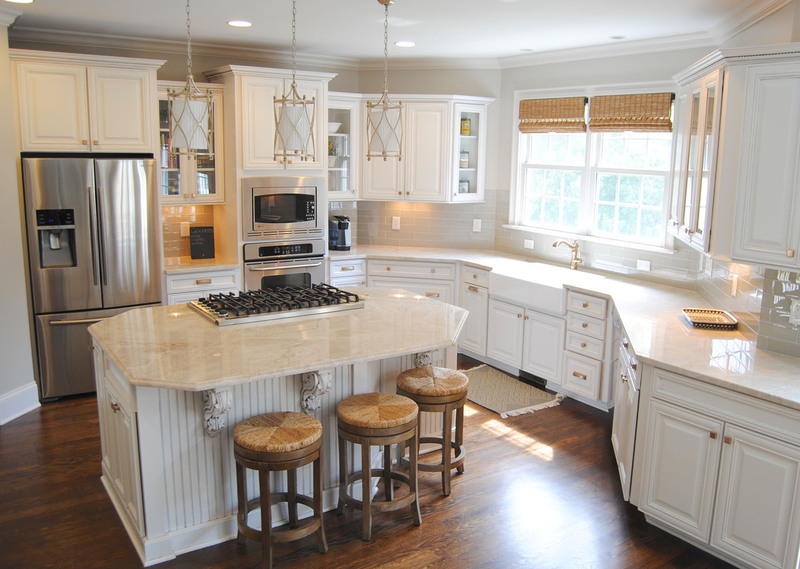 Cabinets can make or break a kitchen as they are the heart of your home. You want your room to have a stylish, high-quality look and feel. 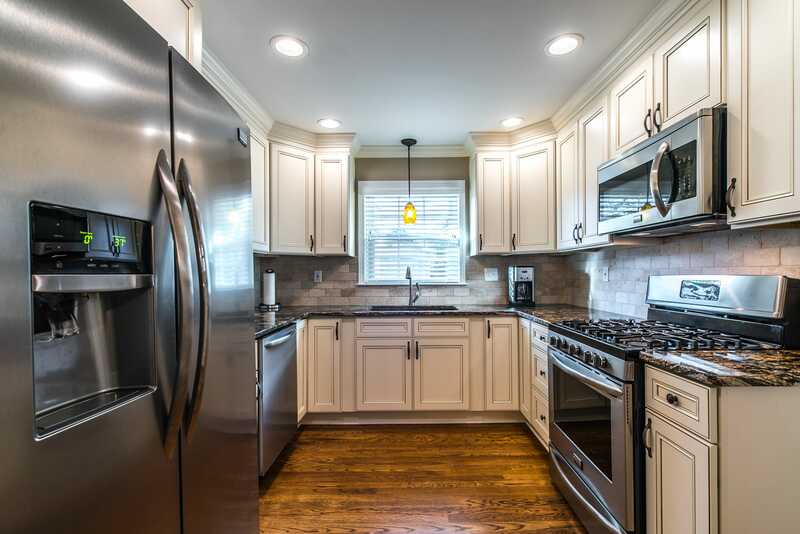 Whether you are looking to update a kitchen island, bathroom cabinets, or do a full kitchen renovation you will find a big selection of cabinet colors and textures at East Coast Granite & Marble. We offer the most affordable prices in North South Carolina so that you can have an elegant renovation but it won’t stretch your budget. Don’t miss out on what we have to offer. 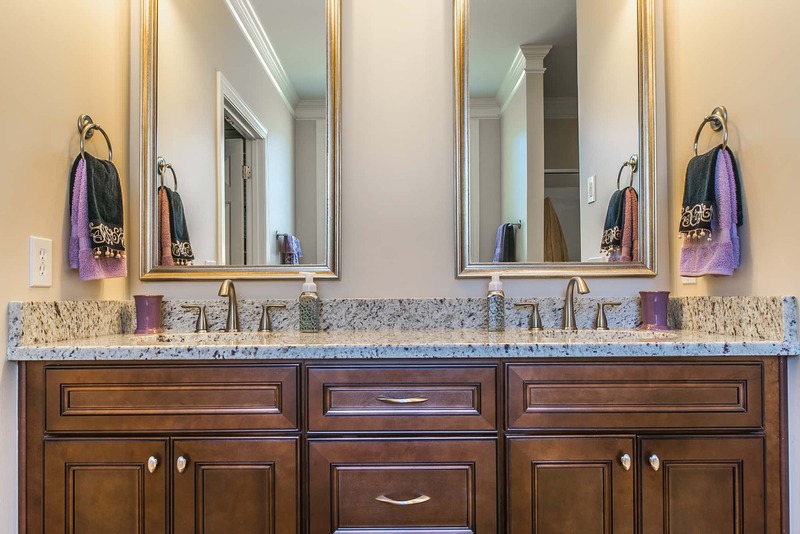 Despite being one of the smaller rooms in a house, bathroom vanities are very popular and one of the top things people will consider when buying a home. Your bathroom should be more than just a place to rush in and out of every morning and evening, it should be a sanctuary and a stylish retreat. We use only the best materials so you invest only in high-quality service and quality products. At East Coast Granite & Marble we will offer the best prices in North South Carolina and we can complete your installation in 5-7 days.